The now Dem-controlled House wasted no time to move their agenda forward by filing H. R. 7115—essentially banning 80% lowers and AR-15 parts kits. Dubbed the “3-D Firearms Prohibitions Act,” H.R. 7115, actually has nothing to do with 3D-printed firearms. 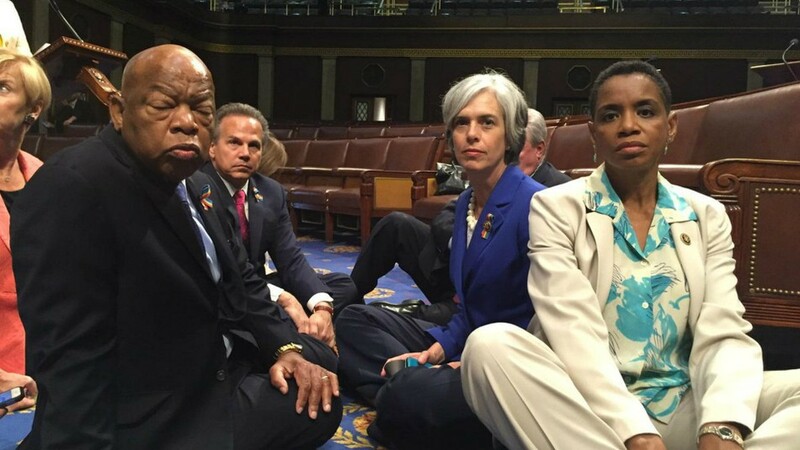 House Dems had a “sit-in” in 2016 to protest against guns. In short, if passed, H.R. 7115 would require anyone who built an AR-15 on an 80% lower receiver (or printed a firearm) obtain a serial number for that lower. Currently, 80% lowers are not classified as firearms and do not need a background check or serial number to own. To complete an 80% AR lower, one needs a CNC machine or drill press. These parts are for the serious hobbyist and not the bulk of AR-15 purchases. Unbiased news and pro-Second Amendment groups and organizations’ voices are drowned out by the anti-gun media and politicians that either completely makes up information or have it so wrong that it might as well be lies—all to scare the unknowing American. Naming this bill the 3-D Firearms Prohibitions Act is clearly (to us, anyway) a strategy to gain support—THERE IS NOTHING EXPLICITLY STATED IN THE BILL THAT BANS 3D FIREARMS, THE EQUIPMENT NEEDED TO PRINT ONE OR THE DOWNLOADING AND SHARING OF THE INFORMATION NEEDED TO PRINT THE FIREARM. To learn more about 3D-printed firearms, click here. Though this would be the worst-case scenario—the smallest AR parts could be classified as “parts.” Even pins and springs. Some say the bill would make it nearly impossible for even a gunsmith to work on your AR-15, AK or other MSR. On November 2, 2018, the bill was referred to the Committee on Energy and Commerce as well as the Committee on the Judiciary. GunLove feels sure this is just one of the many anti-gun bills we’ll be seeing from the House—after all, 15 NRA-approved Congress members were replaced by F-rated candidates during the midterm elections.